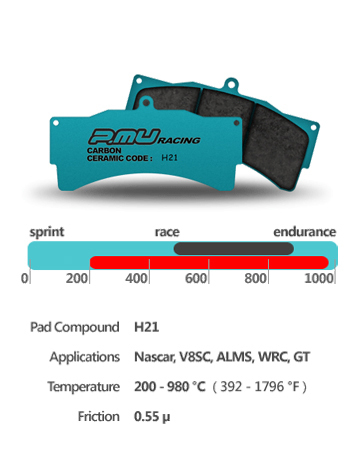 P.Mu H12 is a performance brake pad. With intermediate to high friction levels, H12 offers high levels of feel and release and is capable of operating at temperatures to 800°c (1472°F). This pad operates from low temperature so is ideal for track day work or rally where warming brakes sufficiently is not always possible. Ideal in applications such as track days or club racing where non-slick tyres are commonly used.